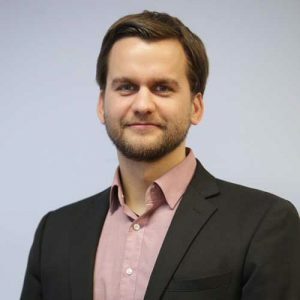 Christian Noske is Managing Director at Alliance Ventures, Renault-Nissan-Mitsubishi’s global investment organization, which manages corporate venture capital investment in open innovation, in support of the Alliance’s strategic objectives. Co-located in Silicon Valley, Paris, Yokohama and Beijing, “Alliance Ventures” is an annual $200 million venture capital fund operating for Renault-Nissan-Mitsubishi, the world’s leading automotive alliance. Launched in 2018, the fund targets technology and business model innovation in vehicle electrification, autonomous systems, car connectivity and new mobility services. Mr. Noske joined the Alliance in January 2018 and leads the investment team with headquarter in Silicon Valley. Prior to joining, Mr. Noske worked at BMW i Ventures for over 6 years and was founding partner at their EUR 500 Mio. fund. He was on the board of many leading transportation companies and led investments in startups that are disrupting how consumers experience transportation products and services. Before working in Venture Capital, Mr. Noske was CFO for a digital agency that was acquired by WPP, and worked in Finance and Business Development for Robert Bosch GmbH in Germany and Asia.